Make an appointment for personal Hypnosis sessions with a competently trained Hypnotherapist. You can learn what to expect from Hypnosis Sessions with Stephen Gruber in Montreal here or get more information about making an appointment with me, Stephen Gruber, here. 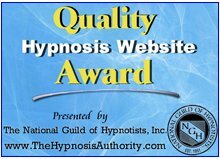 If you can't make it to a personal session then many have found good quality Self-Help hypnosis mp3 recordings very effective. I am now making these available for download. You can find more information on these recordings here: Self-help hypnosis recordings. Alternatively, you have the opportunity to use my Free Self Hypnosis Mp3 download. Return from Getting Started with Hypnosis page to Hypnosis Information Hoome page here.